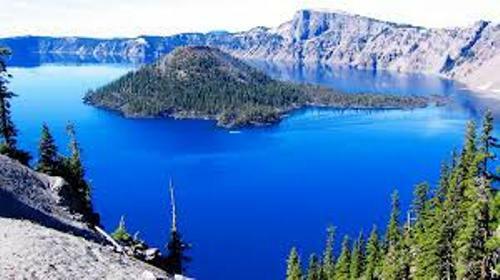 Facts about Crater Lake inform the readers with a caldera lake located in south central Oregon, United States. If you are interested to take a look at the Crater Lake closely, you have to go to the Crater Lake National Park. It is considered as the main feature there. People love it due to the high level of water clarity and deep blue color. 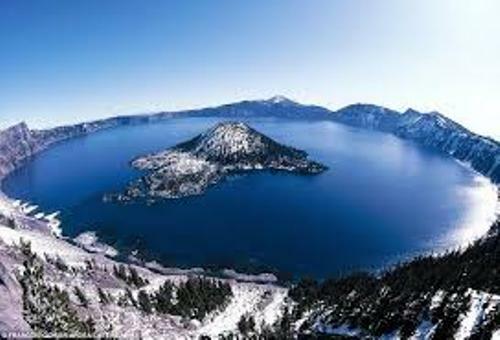 Here are other interesting facts about Crater Lake for you. Can you guess the depth of the caldera? It is around 655 meter or 2,148 feet deep. The scientists believe that the caldera was established around 7,700 years ago due to the volcano Mount Mazama’s collapse. Crater Lake is not connected with a river. The snowfall and rain assist the natural evaporation process. The entire amount of water in Crater Lake will be completely restored per 250 years. Crater Lake has the depth at 594 meter or 1,949 feet. In United States, it is considered as the deepest one. Depending on the measured average or maximum depth, Crater Lake takes the 3rd or 9th deepest lake in the world. Have you ever heard about the Old Man of the Lake? It is always associated with Crater Lake. For more than 100 years, the Old Man of the Lake or a full sized bobbing tree has been on the lake. You can find two islands in Crater Lake. Both are Phantom Ship and Wizard Island. Phantom Ship is the smaller island in Crater Lake. You can spot the lichens, wildflowers and violet green swallows living in this island. Get facts about Copper Canyon here. Wizard Island is the bigger island. The eruption of a cinder cone formed this island. 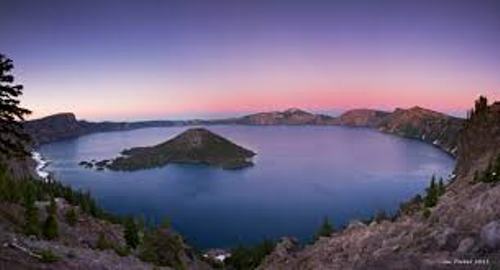 In 1888 until 1941, Crater Lake was inhabited by different kinds of fish. However, there was no native fish population living here. John Wesley Hillman called the lake as Deep Blue Lake when he spotted this lake for the first time in June 1853. Find facts about Covent Garden here. Before it is called Crater Lake, people called it Lake Majesty and Blue Lake in the past. 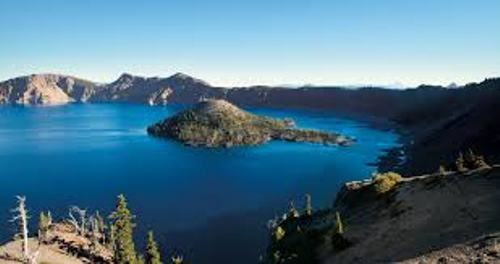 Are you thrilled reading facts about Crater Lake?